Chairhome (FScXXChairUniversal) : fixing set hammock. 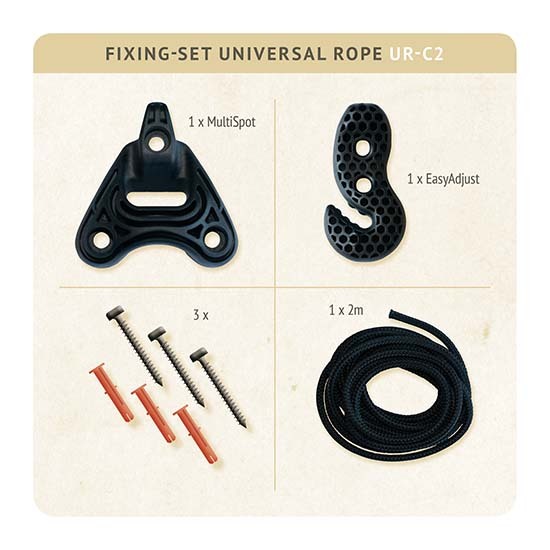 Fixing set for quickly mounting your hammock chair to a ceiling, a beam or a tree. UV resistant. Weatherproof. Type approved/ Safety. Easy adjustable. Quick mounting.